Our favorite lady will be a huge help in the kitchen (or at the outdoor grill) when you wear this 100% black heavyweight cotton full apron. Utility pockets in the front are perfect for holding tools or towels, and the ties make it adjustable to fit almost anyone (men and ladies). 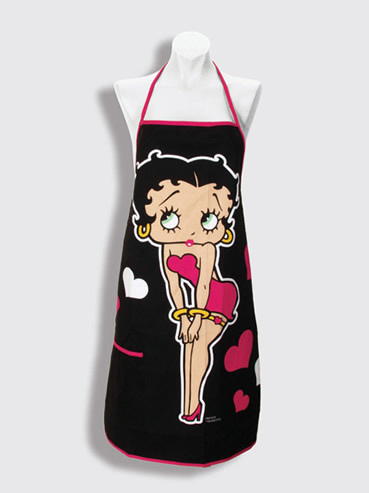 With Betty’s help, the food will be perfectly cooked and delicious.